Our students work at Head Start, Illinois Regional Office of Education, Area Education Agencies, and as teachers in public and private schools in Illinois, Arizona, California, Colorado, Texas, and Wisconsin. Our faculty offer you a hand of guidance during your education while you put your hands to work with children. The SAU Teacher Education program is noted for graduating competent and professional teachers and you can receive an initial license to work in Iowa agencies and schools. You will begin working with children early in your college career. The SAU Children's Campus is a fully licensed, nationally-accredited childcare center where you will get hands-on field experience. We also have strong, established relationships with Mississippi Bend Area Education Agency, Early Access, Davenport Community School District, and other school districts and agencies that serve a diverse population of children and settings. During your one-semester Capstone course, you get to develop an idea or problem and conduct research in the classroom. At St. Ambrose we give you unmatched real-world experience at the SAU Children's Campus. The Children's Campus is the lab site for our early childhood education majors as well as an accredited, fully-operational early childhood program serving up to 70 children of all abilities, ages six weeks to 6 years-old. The Children's Campus also offers educational experiences and resources for families. The lab experience focus is on excellence in teaching and creating an environment of mutual trust. At most universities, such experience would be reserved for master's students. Not at St. Ambrose. We believe you need these skills before stepping into your own classroom. We also make sure our students have all the resources they need. 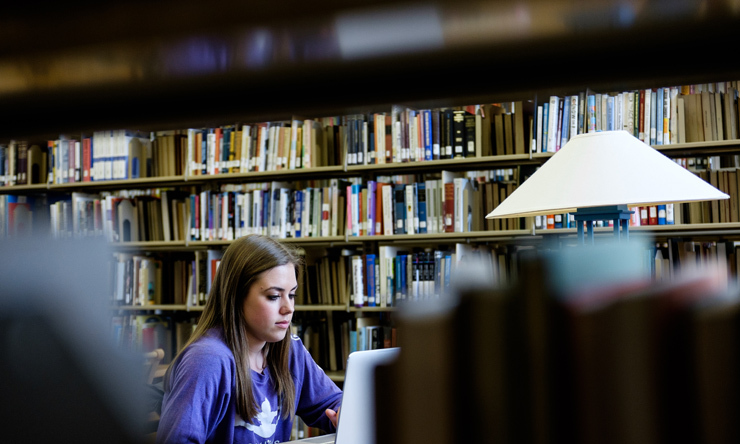 The SAU School of Education Curriculum Library has educational material, instructional resources, and teaching aids that will help prepare you in filling one of the most influential roles in a young person's life: a teacher. Our Early Childhood Education program offers students the opportunity to study abroad in Reggio Emilia, Italy. Scholarships are available. Click here to search our study abroad programs. In addition, we are one of few universities in Iowa offering Peace Corps Prep, a program that can make you a stronger candidate for volunteer positions within the Peace Corps or other service programs. Most students can earn the certificate - awarded by the Peace Corps - without taking extra courses. Click here to learn more. 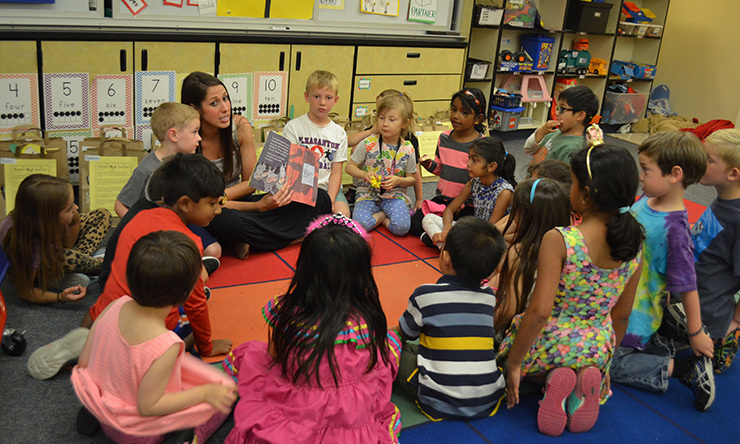 Early Childhood Educators are in high demand, giving you many diverse career options. You can care, inspire, and teach children in pre-school, childcare, elementary school, or even work as a private or school district tutor. Our education graduates not only teach in classrooms but also are employed as school librarians, reading teachers, and curriculum specialists. If you decide to continue your education, St. Ambrose offers a Master of Education in Early Childhood Education and a Master of Education in Educational Administration. Those programs allow you to continue working with professors you have come to know, and who know you, too. Meredith Tangen '08, '10 MBA was recognized by the Iowa Association for Career and Technical Education for her "significant contributions toward innovative and unique career and technical education programs" during her tenure as a math teacher at Davenport West High School. 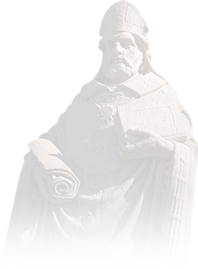 The School of Education at St. Ambrose University includes areas of study necessary to prepare highly-qualified, professional classroom teachers and enables the student to receive an initial license to teach in Iowa agencies and schools. The program is approved by the Iowa Department of Education. Through agreements with other states, graduates may apply for certification after receiving an Iowa license. There is some planning involved before you apply, so follow the steps below. Enroll in EDUC 205 or EDUC 207. Prerequisites: Complete (or transfer) 12 credit hours. GPA must be at least 2.7. While enrolled in either EDUC 205 or EDUC 207, apply for admission to the School of Education while making sure you satisfy these GPA and ACT requirements below. Overall GPA for entrance to the School of Education and maintenance of status within the School shall be calculated by using only the credits transferred into St. Ambrose University plus the credits earned at SAU. a. Pass the Praxis Core Academic Skills for Educators Exam. b. Complete 50 field hours in EDUC 205 or provide verification through EDUC 207.
c. Two professional rating forms (EDUC 205 or 207 instructor, and cooperating teacher's evaluation) which show applicant earned an average rating of at least Developing (3) in the three separate dispositional categories and recommended by both course instructor and cooperating teacher to continue on into the program. d. Receive a grade of "B" or above in EDUC 205 or 207.
e. A completed application for admission to teacher education program form (including statement of fraud section and necessary signatures). Majoring in Early Childhood Education is equivalent to an Iowa early childhood endorsement. A minimum of 215 clock hours of pre-student teaching experiences in a school or agency setting at three different age levels (0-3 or 3-6 years or grades K-3) are required before student teaching. Early Childhood Education majors also must present evidence of current certification in infant, child, and adult CPR and first aid before the student teaching semester. Specific course information, State of Iowa competencies, and class listings can be found in the Course Catalog. Student teaching is during the last semester before graduation, and the placement is all day, every day, for one semester. 1. Admission to the Teacher Education Program. Completion of a proposed sequence of courses leading to licensure. 2. Maintain a cumulative GPA of 2.70 with 3.00 GPAs in education and major/endorsement courses. All grades must be C or above in education and major/endorsement courses. D or F grades are unacceptable. Note: A student who does not meet any of the above requirements may file an appeal. All appeals must be submitted in writing to the Teacher Education Appeals Committee through the Assessment Coordinator of the Teacher Education Program, one semester before the start of the student teaching semester. This is the suggested plan of study to graduate in four years with a degree in Early Childhood Education. If a student does not have three years of foreign language in high school, then 9-11 credits of a foreign language are required. Also, students must demonstrate proficiency in Math 131 or take that course in addition to a higher level mathematics course.